A Canadian railway company is training its managers and office workers to drive locomotives and load trains, a move one labour lawyer says could be an attempt to prepare for a possible work stoppage. Documents show CP Rail has encouraged office employees to step away from their desks and cubicles and sign up for training both on the trains and in the rail yards. The use of office workers driving trains could be a major safety concern, said Wayne Benedict, a former railroader who now works as a labour lawyer in Calgary. "You've got them climbing onto a train that's a mile and a half long, with a hundred and some cars, weighing 16,000 tonnes, with dangerous goods, going through our cities," he said. "And they are not professional, running trades employees. They are running human resource professionals, or other managers and supervisors." CBC News has obtained an internal CP Rail document dated Feb. 19, 2014, encouraging non-union employees to sign up for training as a locomotive engineer or conductor. It calls the training "a requirement at Canadian Pacific. It is also the single best way for a management employee to learn what the business is truly about. It is a fundamental cornerstone to the development of our railway culture." The document also suggests, "no matter what your role is at CP, this experience will make you better at what you do." The program is targeted mainly towards mechanical and engineering workers, but open to any non-union employees. The training, offered in several Canadian cities, requires employees to receive at least four weeks of classroom work, before starting on-the-job training. "I am highly skeptical that it would be the same training and experience that a qualified locomotive engineer or qualified professional train conductor would have," Benedict said. "Certainly, they don't get the same amount of experience out there running day in and day out." The union representing locomotive engineers and conductors believes all types of non-union workers are driving trains. "Some of them are office workers, secretaries, data input, some of them are mechanics on the track, supervisors. Those workers from the office are career office workers, sometimes 25 or 30 years' experience, being scheduled for training to go ride trains and switch box cars in yards," said Doug Finnson, president of Teamsters Canada Rail Conference. Last month, the Canadian Industrial Relations Board ordered the railway to stop having unionized workers provide training for managers. Also, when unionized workers are available to work, managers can't step in and replace those workers. The ruling, which has yet to be officially published, states, "The board appreciates the employer's desire to ensure that managers are fully familiar with railway operations, but it also understands the union's very real concern that the training of managers will result in the creation of a pool of trained strike-breakers in the event of a lawful work stoppage." 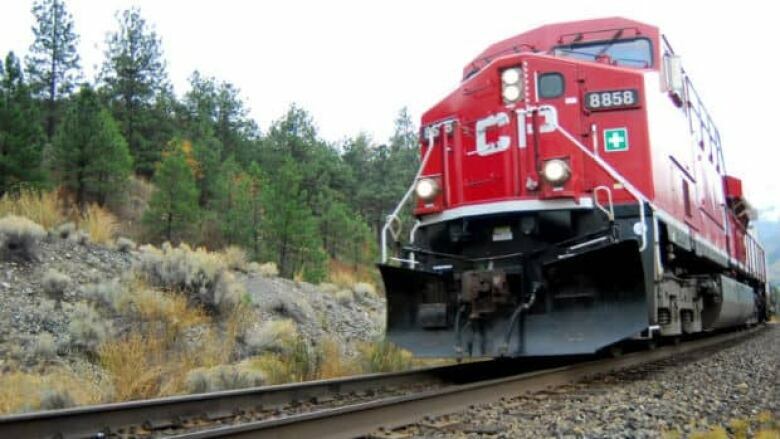 CP Rail said it will comply with the labour board ruling. However, according to prior labour board rulings, CP Rail is allowed to continue training its non-union staff and managers to drive trains. When there is a shortage of professional unionized workers, managers can step in and fill those positions to ensure the trains continue operating. "The standards that CP is using for this training are the same as what is in place for qualifying employees for unionized positions," said CP Rail in a statement. "This means all candidates must pass the required tests, be rules qualified and meet all the standards for train operations." The practice of using office staff is not exclusive to CP Rail. CN Rail has also employed the practice for several years, although not always with the best results. CN blamed "human error" for a train crash near Prince George, B.C., in 2007. The collision at the rail yard led to a massive fuel and lumber fire. In total, 172,000 litres of fuel spilled. Managers were driving the train remotely using a device called a Beltpack. After investigating the crash, the Transportation Safety Board concluded the managers were vastly unprepared as they filled in for regular yard employees. "Although considered qualified from a regulatory perspective for their respective duties, the management employees operating the Beltpack switching assignment on the day of the occurrence were inadequately trained and had no experience switching long, heavy cuts of cars on the pull-back track descending grade." 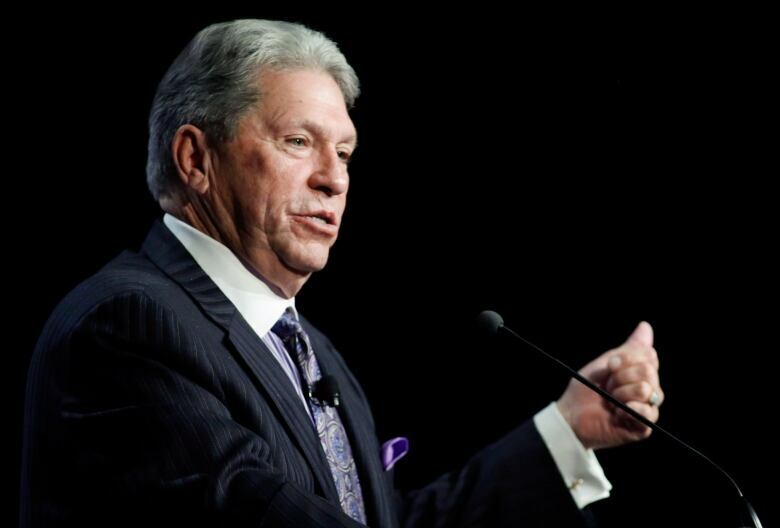 At the time, Hunter Harrison was CEO of CN. He is currently the CEO of CP Rail. The CBC has no information to suggest similar training deficiencies exist at CP Rail. CP Rail declined interview requests. It is difficult to find out how often CP Rail is using office workers to drive trains. The recent labour board ruling did not have specific numbers, although the railway did tell the board that the use of management crews increased by more than 50 per cent from 2013 to 2014. CBC News requested more specific figures from the board, but has yet to receive clarification. The union claims the cases are frequent. "There are several thousand instances of managers doing our jobs," Finnson said. "They had plans on training hundreds and hundreds of managers. They made no bones about it." Contract negotiations between Teamsters and CP Rail are ongoing. The two sides will resume talks in Calgary this week. The earliest that a work stoppage could occur is Feb. 14, according to the union, when a cooling off period expires. After that date, a strike or lockout could be called by the union or the company. "There is a very strong likelihood of one or the other taking place," Finnson said. The union is currently conducting a strike ballot vote. Locomotive engineers, conductors and yard workers are all voting whether or not to authorize the bargaining committee to call a strike, if necessary. The Teamsters union said the railway may be making preparations in case of a work stoppage. "I have received several reports recently that CP Rail is phoning up retired railroad workers and asking them if they will come in to be replacement workers in the event of a strike or a lockout," Finnson said. "It's disturbing, it's absurd, and it's insulting." CP Rail says it is bargaining in good faith. The collective agreement expired on Dec. 31, 2014. Below is a look at an internal CP Rail document about the management conductor and street to seat locomotive engineer training program.